With his trademark brilliance, generosity of spirit, and clear pastoral calling, Brian McLaren synthesizes an accessible and inviting understanding of what it means to follow Jesus. Each of us was created for something great - we just need to figure out what it is and find the courage to do it. Whether it's writing the next great American novel, starting a business, or joining a band, Rob Bell wants to help us make those dreams become reality. Our path is ours and ours alone to pursue, he reminds us, and in doing so we derive great joy because we are living our passions. Good book but not a stand alone. An honest look at what we are told to think! Hurting people ask heart-felt questions about God and suffering. The usual answers fail. They don't support the truth God loves everyone all the time. God Can't gives a believable answer to why a good and powerful doesn't prevent evil. “God loves things by becoming them,” he writes, and Jesus’s life was meant to declare that humanity has never been separate from God - except by its own negative choice. When we recover this fundamental truth, faith becomes less about proving Jesus was God, and more about learning to recognize the Creator’s presence all around us, and in everyone we meet. 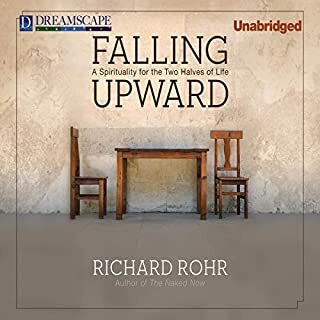 Richard Rohr presents excellent ideas in a clear and well supported way. He helps the reader to think in a new way about the the most important things in life. I believe his teaching provides real hope for our future. 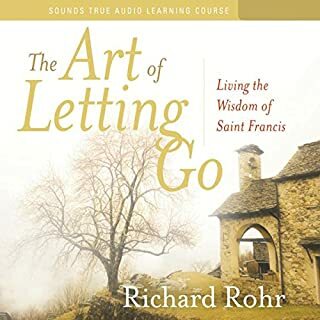 This is Richard Rohr at his best. Challenging the current Christian norms with the prophetic wisdom of the scriptures. Should be mandatory reading for all who claim Christ. Although he says this is no "cheap universalism", the book certainly skirts the razors's edge; but I reckon one'd not expect otherwise with the title. Excellent points here, and definitely some things I need to chew on. It seems somehow inevitable that it's a very thin line to walk in Christianity between seeing God as being infinitely larger and better than the sad tiny boxes we pretend we can stuff God into, and seeing God as so free from limitation that we become blurry about what the point of Jesus's suffering and resurrection--and then about what the point of our trying to follow after him--might be. Brother Rohr raised some good questions for me, and left some frustratingly begged. But I'd certainly recommend cogitating on this one a while; and I certainly plan to go through this again myself. Questions (or even disagreements) notwithstanding, I come away from this with a beautiful assurance that God is much bigger than my little doubts and questions. 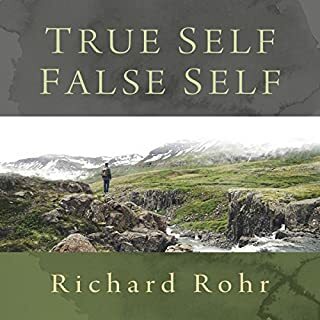 The content of Richard Rohr’s theology is again challenging and a catalyst for growth. However, the content in the audio seems to skip and miss words. Added to that is the very monotone voice of Arthur Morey. Perhaps without the skipping text it would still be engaging but not with both those challenges. I am biased toward the mystical and contemplative, but this book opened Christianity for me because of that. A welcoming narrator and wisdom from Fr. Rohr. While listening I've wanted to write down every other line. Not only does he approach Christ from a refreshing and progressive angle, he backs it up with ancient and modern writings. 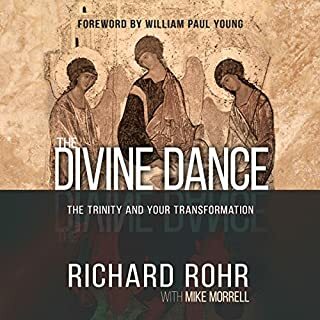 We have been confined to thinking of Jesus & the tenants of Christianity in such a narrow, unhelpful way for so long, this book (and other work of Rohr's, I'm sure) is dearly needed. Understanding where the obsession with sin, hierarchies, exclusivity all originate from and alternatives to these ways of thinking is so important now when we take so many things for granted. There's also a lot if you are interested in contemplative approaches to a faith tradition that has a lot to offer in that regard. Thank you for this book, I'll definitely be exploring more! This is a wonderful book, with a pleasing reading. And I say this as a self-professed pagan. 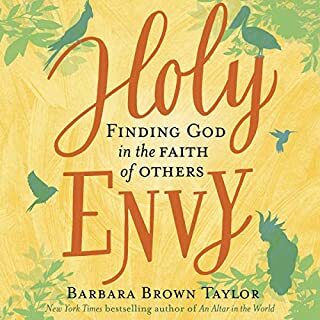 This book teaches excellent tools for a kinder world view, and for those who identify as Christians, tools to understand how religion *really* fits into the world in a positive, instead of harmful, way. Everything in this book, about love, God, christ and consciousness, was previously shown to me during a near death experience 14 years ago. I returned to the physical world with a cosmic perspective and understanding and felt enlightened for several days afterward, but slowly began to lose my grasp on this way of seeing because it is so incredibly different than the agreed upon collective "reality", or materialist world view which I was (as we all are) deeply entrenched. The greatest among many other great sorrows, seeing from this perspective then having it clouded again seemed a cruel joke and left me questioning my sanity and the reality of divinity. I prayed to be shown, once again, all that had been revealed to me so that I might remember and serve others with my remembering. 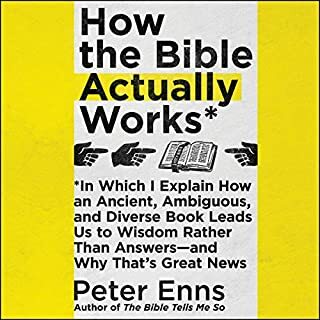 Time passed and I had forgotten that prayerful wish, only to realize while listening, that this book fully confirms and clarifies things I once knew to be true. Whether I was led to it or stumbled upon it can be debated, however it is most certainly an answer to my prayer. Our world can be heaven on Earth, if only we choose to see it through our own Christ like vision, and love all with our own Christ like love. 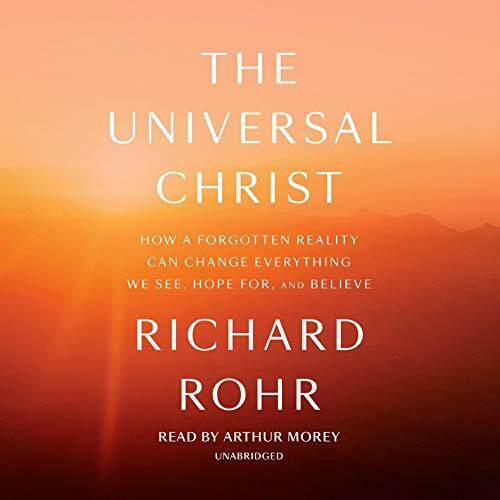 The Universal Christ was the first audio book I’ve ever listened to and the first one I uploaded on Audible. By the Grace of God I hit the mother-load. It is indeed “The Good News.” Please partake if you are willing and able. Richard Rohr opens the door to understanding many questions I have had when reading the Bible. I ended up purchasing the book in writing as well because there are so many profound concepts as well as practical advice.